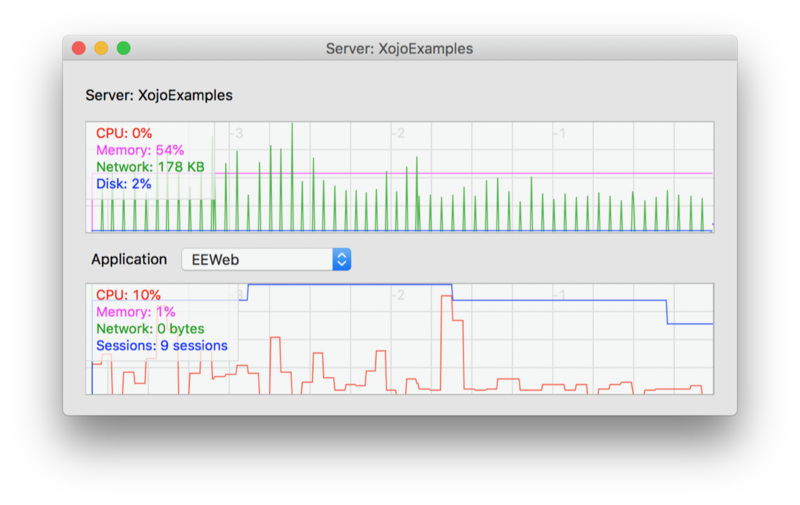 You can now get statistics for your Xojo Cloud Server and its running apps from the Xojo IDE itself. To display the Statistics window, open any Web project, select Xojo Cloud in the Build Settings, select your Server and then click the Show button next to the Statistics property. Use the drop-down in the window to show stats for the apps you have running on the server. You need to first deploy an app to Xojo Cloud before statistics will be available.